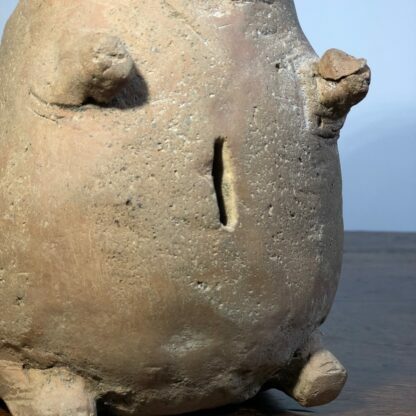 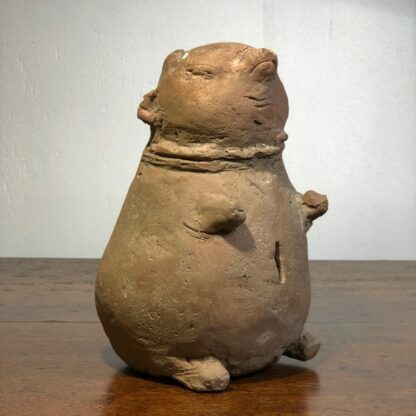 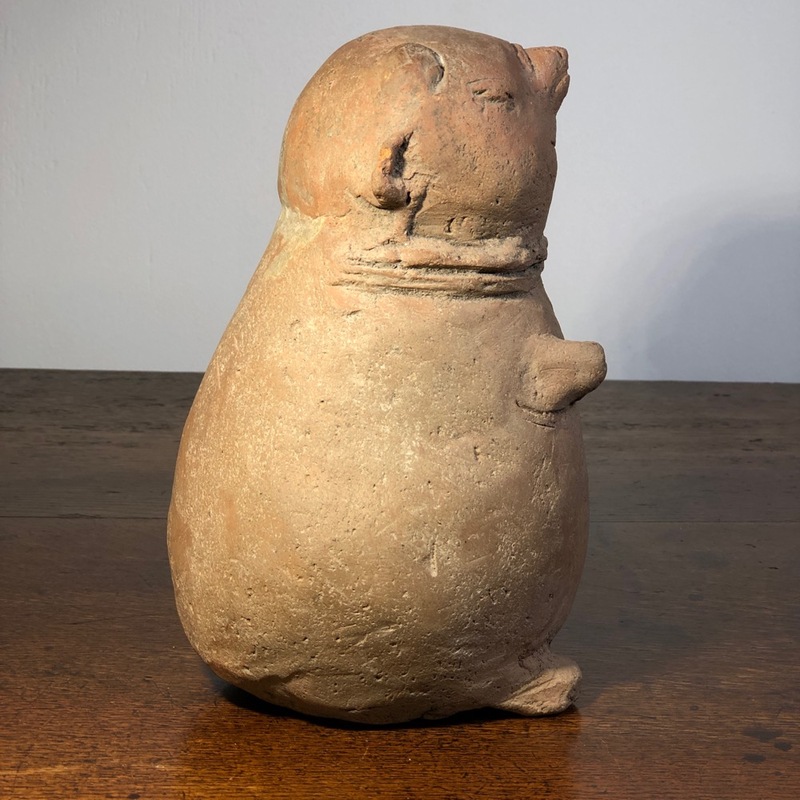 Pottery ‘Piggy-Bank’ modelled as a plump pig sitting upright, a money slot in the belly. 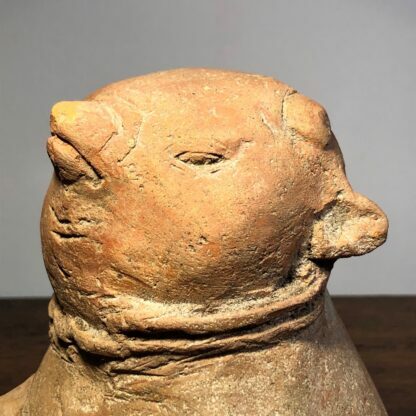 The Majapahit Empire controlled vast areas of South East Asia in the 14th-15th century from their kingdom in East Java. 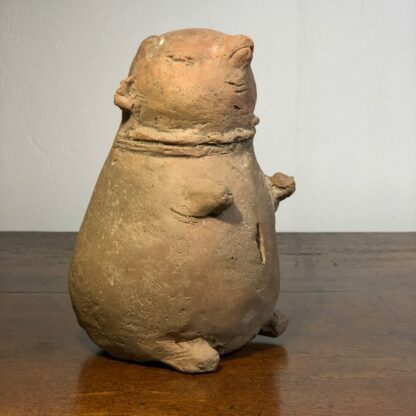 The Javanese and Indonesian term ‘cèlèngan’ meant ‘likeness of a wild boar’ and was used to replace both ‘saving’ and ‘piggy bank’ terms. Pigs meant Prosperity, and the transition to holding coins was a natural one which became ritualistic; while some are found with actual ancient coins in them, others have blank imitation disks, suggesting the ritual of placing a coin in the bank was the important aspect. 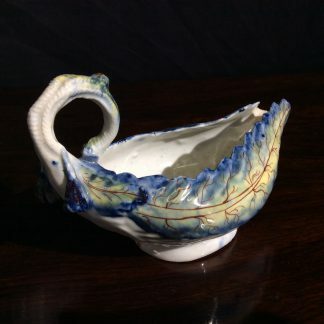 Europeans began making pig-shaped money boxes some time in the 17th century, with the Dutch being some of the first; can it be coincidence that the Dutch had Java/Indonesian colonies at that time?